Code Ocean offers native support for GitHub importing. 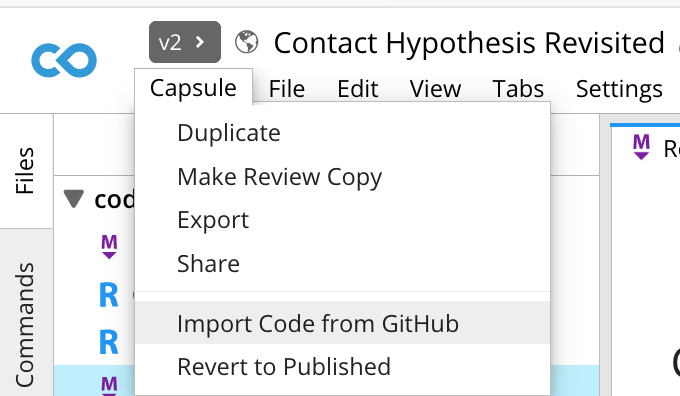 First, click the Capsule menu and select Import Code from GitHub. 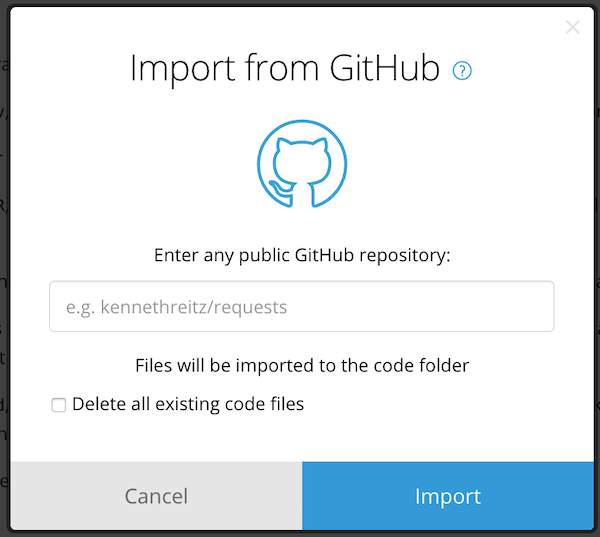 Enter any public GitHub repository URL into link field box and click Import to initiate the process, which may take a few minutes if the repository is large. If necessary, move any data files to the Data pane.